There is no value in knowing your blood level of cholesterol. If you do not have any evidence of heart disease, you do not need to take a statin. The small benefit of statins is nothing to do with the fact that statins reduce blood levels of cholesterol. If someone who is supposed to be taking a statin does not experience a reduction of the blood level of cholesterol, then he or she is not taking the tablets. Statin medications can be helpful if you have heart disease. I have previously drawn attention to the fact that the blood cholesterol level is not overall a useful predictor of life expectancy, risk of myocardial infarction (MI, heart attack) or other manifestation of coronary heart disease (CHD). 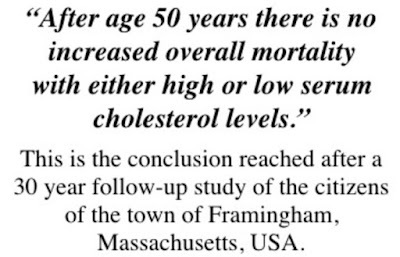 The most important long-term study of the influence of the blood level of cholesterol was undertaken in the town of Framingham, Massachusetts, USA. It was a thirty year study, and it will never be repeated as to do so would be both pointless and prohibitively expensive. The conclusion was as in Figure 1. 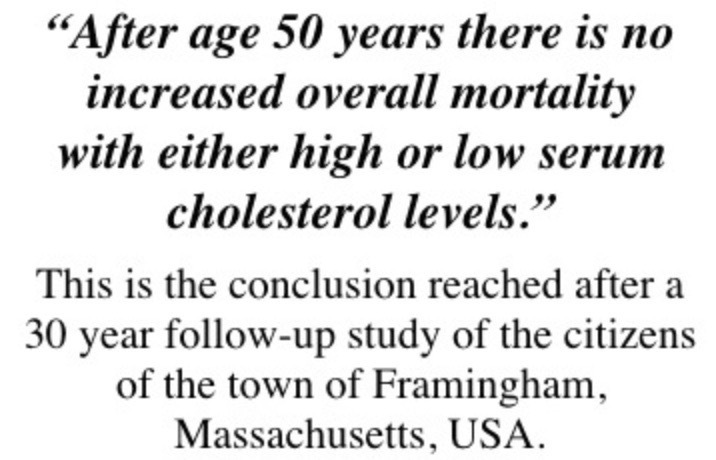 In the Framingham study, there was in young men a relationship between blood cholesterol and survival, but in this age-group the risk of CHD is now extremely low. The Framingham study was of people up to the age of 65 years at the time of recruitment. However, after the age of 70 years a high cholesterol appears to give a very significant survival advantage. This could not have been recognised in the Framingham study, but the great majority of CHD deaths occur in this age-group. The chance of a middle-aged man with no known heart disease benefiting from long-term statin medication taken for five years is now less than 0.1%, one in one thousand. The chance of experiencing unwanted but significant muscle pains might be about 1% (incidence very much disputed), meaning that untoward effects would be 10 times the chance of benefit. In women the chance of benefit is much lower, but the risk of untoward effects is the same. In the absence of heart disease, statins need not not be taken and are more likely to do harm than do good. So-called “primary prevention” should stop. There would have been a benefit in high risk men in about 1970 (although statins would not be available for another 20 years), but not now that the epidemic is at an end. The benefit of statins is nothing to do with the fact that statins reduce blood levels of cholesterol. There is great concern that the data from the statin trials is not generally available. Despite many requests or demands, the data is deliberately with-held from public scrutiny. The data can be seen by only the close and self-appointed Cholesterol Treatment Trialist Collaboration. This is a cover-up, and what is being covered up in particular is the lack of relationship between cholesterol-lowering and benefit, most importantly reduced death rate). However, such data was made available from the first statin primary prevention trial, WOSCOPS, the West of Scotland study, a trial of pravastatin in men with high cholesterol but no history of heart disease. The second WOSCOPS paper showed clearly that there was no relationship between cholesterol lowering and subsequent mortality. This is shown in Figure 2. One group did not show any reduction of the blood level of cholesterol and it was assumed that the subjects did not take the statins provided. There are four groups defined by the reduction of cholesterol levels (by 12, 24, 31, 39 percent). 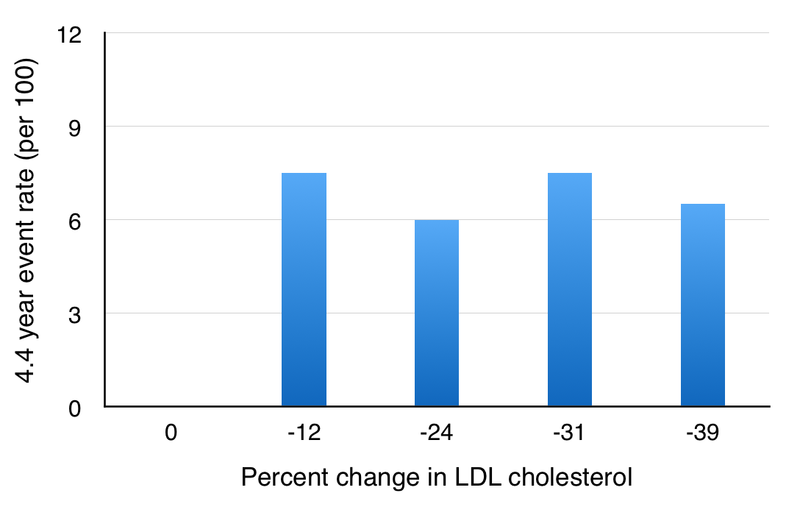 What was expected was that the CHD mortality and event rate would go down corresponding to the percentage reduction in cholesterol (total or LDL). This did not happen. The authors are correct, as becomes clear nearly thirty years after the trial was published. The small benefit of statins in respect of CHD is not due to lowering of cholesterol, but is the result of an independent and at the time of WOSCOPS (published in 1995) an unknown function of statin medications. If someone supposed to be taking a statin does not experience a reduction of the blood level of cholesterol,then he or she is not taking the tablets. In the WOSCOPS trial there was a group of subjects in the active treatment randomised half in whom there was no change in the blood level of cholesterol. They had a higher event rate than the other groups and similar to controls. The authors concluded that they had not been taking the pravastatin that was prescribed. Statin medications can be helpful – if you have heart disease. There is no doubt that statin medications do give benefit, albeit very small. Soon after the height of the epidemic in 1970–1980, there was a reduction of deaths in those who received statins, in WOSCOPS from 4% deaths at five years in controls to 3% in those treated. This means that just one man in 100 without a history of CHD who took (prava)statin for five years did not die. Yes, there was a benefit and it was also shown in subsequent trials. This was the time when the death rate from CHD was very high. Now that the epidemic is close to the end, the CHD death rate and therefore risk to the population has dropped by a factor of about 20. The benefit of statins to the general population has also fallen and so fewer than one in man in 1000 will now benefit. The beneficial effect of statins can now be understood, but only by those with open minds, sadly very few. It is immediately following myocardial infarction (MI) that statins are most effective. This has been demonstrated in an important observational study from Frankfurt, Germany, and it has barely been acknowledged. * those not receiving statins and who were not prescribed statins (1151). There were major differences in the outcome during the subsequent 30 days, differences in death rate and repeat MI. These are shown in Figure 4. Figure 4. 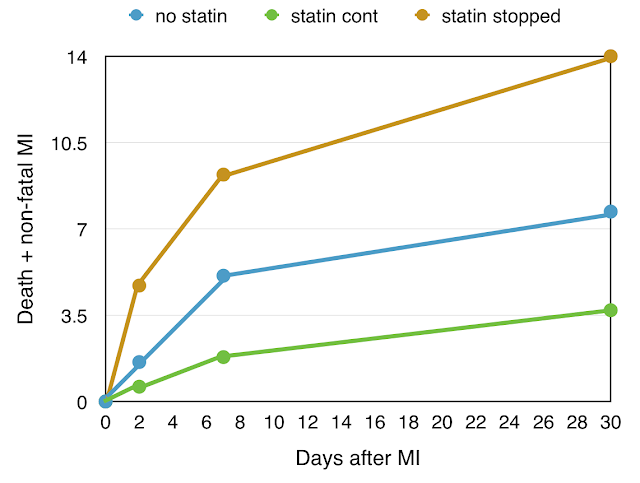 Statin and event rate after MI – no statin, statin continued, statin stopped. Look at this important graph carefully. There were immediate differences, shown clearly at just two days after MI. At this early stage the major event rate in those who did not take statins was 1.6% (blue), but in those taking statins much lower at 0.6% (green). However in those who stopped taking statins on admission hospital had very much higher early event rate at 4.7% (brown). The 30-day event rate shows the same pattern. In those who did not receive statins (blue), the mortality or major second MI rate was 7.5% at 30 days. The outcome was better in those taking statin before and after admission, with 30 day mortality or second MI rate of 3.7% (green). But the other group was most interesting, those in whom statins had been taken before admission but stopped on admission with MI (brown). The 30 day mortality and major event rate was highest of all in this group, 14%. There is clearly a very early effect of statins, but also a rebound effect: stopping statin medication leads to a higher death or repeat MI rate than if statins had never been taken. The immediate advantage of statin following MI, and the serious rebound effect, indicate an immediate effect of statins, something other than the long-term cholesterol-lowering effect. This should be very interesting, but I have seen no signs of interest. 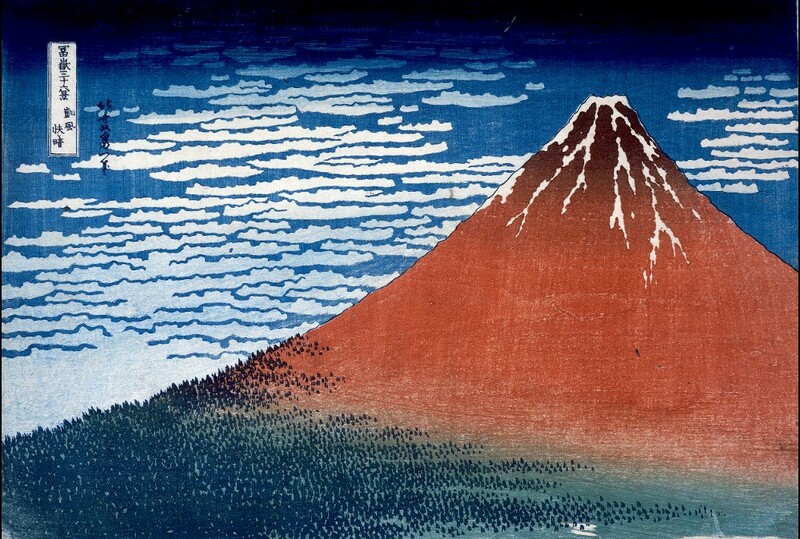 It is likely that this effect is anti-inflammatory. The acute MI is the result of an intense inflammatory process as the atheromatous plaque within the coronary artery becomes unstable and ulcerates, “like a boil” (Uffe Ravnskov), with superimposed fresh blood clot completing the occlusion of the artery. Under these circumstances an immediate anti-inflammatory medication would be very valuable, and we see this with the emergency use of aspirin. The anti-inflammatory statin would have held back the inflammatory process, and its sudden cessation can be expected to result in a equally sudden enhancement of this inflammatory process with serious and sometimes fatal consequences. It must be emphasised that statins do have some clinical benefit, but this is nothing to do with their ability to reduce the blood level of cholesterol. If statins are to be given on account of heart disease, then the decision should be based on clinical criteria and not on the basis of the blood level of cholesterol. There is something else new concerning statins benefiting patients with heart disease. This was presented at the European Heart Society meeting in Prague in May 2017. The lead author was Dr Nay Aung from Queen Mary University of London. The observations were that people taking statins had a thinner left ventricular heart wall compared to controls. A thick heart wall is a bad thing - left ventricular hypertrophy, that can lead to heart failure. Dr Aung commented in his press release: “Statins have other beneficial, non-cholesterol lowering, effects. They can improve the function of the blood vessels, reduce inflammation, and stabilise fatty plaques in the blood vessels." He then demonstrates that statins can have a beneficial action on the structure and function of the heart. Forget the absurd diet-cholesterol- heart hypothesis. Statins are intriguing in their effects, but these are not publicised or investigated in detail. The pharmaceutical companies are very happy with the vast prescribing to normal people of statins to lower cholesterol – in itself, pointless. Thank you for your review of the statistics that indicate the folly of prescribing statins routinely to the general population. These statistics will reflect all the known, unknown and not understood facts about the benefits and the harms of statins. So although the new information about statin’s beneficial effects on heart structure is most welcome it does not provide any extra reason for the general population to routinely take them. I wonder if the change in ventricular walls are being too readily thought of as a ‘good thing’? As a layman I read about the damaging effects of various pollutants changing heart structure and suddenly we find statins do this and it is a benefit! Just being cynical David. I wonder if the likely anti inflammatory effects of administering statins after a heart attack are an additional benefit when aspirin has been given? Thoughtful as ever. Always good to hear from you. Absolutely correct - statins should not be prescribed for people who are well, and should not be prescribed on the basis of cholesterol. Left ventricular hypertrophy (LVH) is known risk factor for cardiovascular death. It usually results from hypertension or stenosis of the aortic valve, both of which demand more mechanical effort by the left ventricle. There is also HOCM, hypertrophic obstructive cardiomyopathy, that can cause sudden death in athletes. A small heart seems to be a good thing in adults. I’m not certain about pollutants altering heart structure. Clearly we must be careful about all medicines as they are all effectively poisons. Statins are initially derived from fungi. It is only recently that CHD has been recognised as an inflammatory disease. Aspirin is given to reduce platelet stickiness but perhaps it is an anti-inflammatory action that is beneficial. Statins could give an additional effect. It is interesting that aspirin is given as an emergency treatment as soon as possible after MI. There is no trial of statins being given in addition to aspirin in this way, to people following suspected MI in those not already receiving a statin.. As the cholesterol myth continues, there is no chance of such a study being performed.